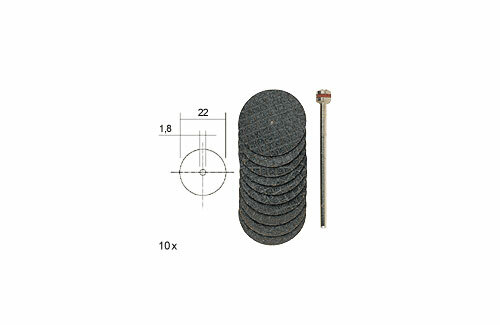 All Products > "28808 Proxxon Cutting Discs 22mm 10 28808"
The cutting discs are available in � 22 x 0.8mm and � 38 x 1.0mm. Nearly unbreakable, making them usable to remove stock. Will cut alloyed, standard and stainless steels, non-ferrous metals and even wood and plastic. Arbor shaft of � 2.35mm.